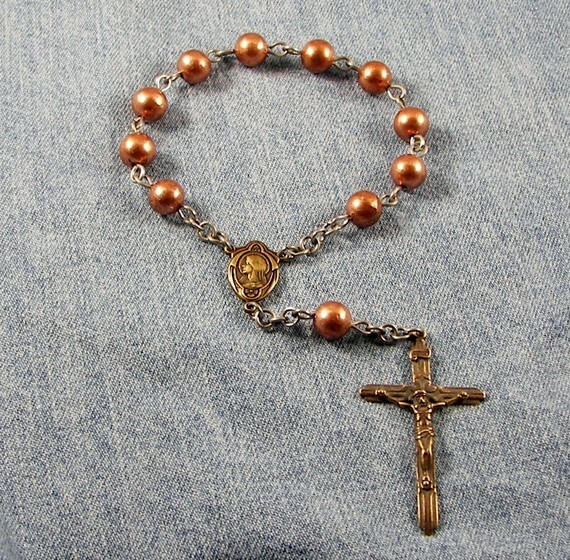 One Decade Copper Stainless & Bronze Pocket Rosary by RefinedByFire. Recently listed on Etsy, this is my latest pocket rosary. This is a very durable piece, one that you can carry around in your pocket and not worry about it breaking. It is made of full-hard stainless steel, 99.9% pure copper and includes a Bronze reproduction crucifix and center.